E3 2018 has now come to an end but what a year it was. Big announcements, exciting trailers and some outstanding gameplay. If you're looking to catch up on the news from the show, we're got everything right here as well as our hands-on impressions with some of hottest games of the show. TechRadar has the exclusive scoop on some of E3's biggest news: Netflix is bringing a Minecraft: Story Mode to its service. Minecraft: Story Mode on Netflix will be a five-part episodic adventure and will be available to stream later this year. Additionally, TechRadar also broke the news that Telltale Games is developing a game based on Netflix's hugely popular Stranger Things series. Of course, we've played games! Emma Boyle rounded up 10 big things you need to know about Assassin's Creed Odyssey and told us why Cyberpunk 2077 might be the reason she leaves the real world, while Nick Pino went hands on with Super Smash Bros. Ultimate (and actually won). Nick also played Spider-Man on PS4, and writes it's the game fans have waited their entire life for. And Emma took Skull and Bones for a sea-worthy spin. One of the most compelling games we played at E3 is called Concrete Genie. It deals with bullying and what it's like to be a creative teenager who'd rather paint than fight. It's a beautiful, moving tale, and one we highly recommend. You can bet we've got opinions about the biggest gaming show on Earth. Our Matt Hanson writes that Microsoft's showcase makes him glad he's a PC gamer, while Emma Boyle notes the PlayStation E3 event was a bad presentation of good games. Joe Osborne writes that Nintendo Switch finally leaned into its multiplayer niche at E3 2018, while Damien McFarren dissects what worked and what didn't at Ubisoft's E3 conference. We also grilled a Microsoft VP about whatever happened to VR on Xbox One X, plus found out from Microsoft that cloud streaming will complement Xbox consoles, not replace them. Nintendo rounded out the press conference portion of E3 2018 with its signature fun and charm. It was rumored long before E3 2018 started, but now it’s been confirmed: Battle Royale hit Fortnite is coming to Nintendo Switch and it’s available on the Nintendo Switch eShop right now. An inordinate amount of time was spent on Super Smash Bros. Ultimate, but being the biggest SSB game, who can blame 'em? This game includes every single character from the mascot-filled fighting series, including characters that were only available via downloadable content on Wii U, and non-Nintendo characters like Sonic, Pac-Man, and Snake (from Metal Gear Solid). We got a look at this year's Pokemon Let's Go, but Nintendo didn't dive into the 2019 RPG of Pokemon. For an in-depth take on Nintendo's E3 conference, check out Joe Osborne's piece on how Nintendo Switch leaned into its multiplayer niche during its big Direct broadcast. And for a quick look at the coolest things Nintendo announced at E3 2018, then check out our round up of the five most exciting games Nintendo showed off. Sony did something different with its PlayStation E3 showcase this year, and whether you liked it or not, it still delivered when it came to great games. The Last of Us 2 was treated to a new trailer, one showing Ellie fighting for her life and that perfectly set the tone for the game. There's so much buzz around Death Stranding, it's deafening, and a new trailer unveiled at E3 will only serve to strengthen that buzz. Ghost of Tsushima came out strong with a stunning, artful trailer at E3, showing a huge open world, combat reminiscent of Assassin's Creed and the importance of stealth in the game. And everyone's favorite spider-inspired superhero got a gorgeous trailer of his own. The Marvel's Spider-Man trailer featured a who's who of villains, from Electro to Vulture. Not only does the footage give us a good look at combat, it really showcases the traversal mechanics; Spidey moves fluidly both on foot and through the air. While it will be some time yet before we can play many of Sony's most-talked about games, one thing that might tide us over is the release of Call of Duty Black Ops 3 on PlayStation Plus for free starting today. Hey, it's something, right? If you're short on time or just want to know what the coolest of the cool was from the PlayStation conference, have we got the roundup for you. Don't think E3 is just about console gaming. The PC Gaming Show gives lots of love to PC games, and this year's installment didn't disappoint. If you watched Jaws or Deep Blue Sea and thought, "I'd love to play a game where I'm the shark," then Maneater is the game for you. It's the new open-world, single-player Action RPG from Blindside Studios, and it looks like a ridiculous(ly) good time. For those fans of Player Unknown's Battlegrounds who just felt like it could use quadruple the player count, Mavericks: Proving Grounds might just be the game you've been waiting for. Mavericks features 400-player, last-man standing games, which opens in beta on August 18. That's nothing; the open-world MMO-shooter game will eventually support up to 1,000 players. Satisfactory is the latest building adventure game from Coffee Stain Studios and from the looks of its first trailer, it’s almost like a first-person SimCity game. On the PC Gaming Show stage, Coffee Stain Studios announced the first closed alpha in the coming months and users will be able to sign up for updates on the Satisfactory website. Short on time, then check out the 10 most exciting PC games from this year's PC Gaming Show! Ubisoft's E3 2018 press conference didn't disappoint, with big announcements, new game trailers and even stunts in the theater. Skull and Bones got a brand new cinematic trailer, and it shows the gritty realism of the game in stunning detail. Plus, there's a new gameplay trailer that reveals even more about the anticipated 2019 title. Ubi rolled right into Beyond Good and Evil 2, revealed as a prequel to the action in the first game. Jade also makes a return as a main character. After years in the cooker, this game is starting to feel very real. Fans of Nintendo should be pleased to learn that Ubisoft and Nintendo are teaming up once again, this time with Starfox coming to Starlink: Battle for Atlas. The game launches on October 16 for PS4, Xbox One and Nintendo Switch, though Starfox will be a console exclusive just for the Switch version of the game. Finally, Ubisoft ended its keynote with the game everyone is waiting for: Assassin's Creed Odyssey. Set in ancient Greece, you play an outcast Spartan hero, either Alexios or Kassandra. The trailer is gorgeous, of course, and sets the stage for what should be an epic odyssey that's out on October 5. Bethesda's E3 showcase got off to a slow start, but after a Rage 2 reveal (which has a distinct Mad Max vibe), things really started to pick up. Doom Eternal was announced as a sequel to the 2016 Doom release. This time, hell looks like it's come to Earth. It's dark and depressing, but should make for one heck of a game. The hotly anticipated Fallout 76 was already discussed during Microsoft's keynote earlier on Sunday, but Bethesda still had huge news: the Fallout 76 release date is November 14. Oh, and almost just as big was that the game will feature online multiplayer, though you'll still be able to play the game solo. VR continued to be a big theme for Bethesda as two new VR titles were announced: Prey Typhon Hunter and Wolfenstein Cyberpilot. And speaking of Wolfenstein, a new chapter in the franchise was announced in the form of Wolfenstein: Youngblood. Though it wasn't expected, Bethesda also played a super-short teaser clip for Elder Scrolls 6, confirming it's in the works. We literally have almost nothing else to go on, expect that it is a game that exists. Turning to mobile, Bethesda revealed a new game called Elder Scrolls: Blades. It will bring a massive first person RPG experience "with console quality graphics" to your phone. Look for it to launch in mid- to late 2018. Finally, Bethesda announced it's developing its first new original franchise in 25 years. Like Elder Scrolls 6, there's not a ton to go on right now, but we do know that it's called Starfield and it's set in space. It looks to be as epic as Fallout and The Elder Scrolls, so it should be something lots of people will be scrambling to play, whenever it releases. The show kicked off with a nebulous look at the next Halo game. It's called Halo Infinite, so it's currently unknown whether this is the sixth mainline game in the franchise or a spin-off. No release date was given, nor was much of any information beyond a CG trailer. Some more of Fallout 76 was shown off as well, but expect a fuller look at publisher Bethesda Softworks's own keynote late on June 10. Crackdown 3 was officially confirmed to release in February 2019, with a brand new trailer and a few more details revealed, as well as an even more Terry Crews-looking main character. Some more footage of Kingdom Hearts 3 was shown off as well, particularly a world based around the Frozen universe, though we already knew that we won't be seeing this one until January 29, 2019. Forza Horizon 4 was shown off in detail, with developers touting mass multiplayer and dynamic environments with weather effects that open and close off new paths. A new trailer for Shadow of the Tomb Raider was also unveiled, showing players what to expect when it lands on September 14 of this year. Microsoft at last announced Gears of War 5, of course an Xbox exclusive and a continuation of sci-fi story line with a focus on drama. Finally, CD Projekt Red took this opportunity to show off its long-awaited Cyberpunk 2077 game in much detail, though still no information on release date. If you want to see the 10 most exciting games Xbox showed off during its E3 2018 keynote, we've got them rounded up for you right here. EA kicked E3 2018 off with a bang on June 9. The gaming giant wasted no time giving viewers trailers and big announcements for some of its most storied franchises. The FIFA 19 release date was revealed as September 28 of this year, while it was also announced we have to wait a little longer for Anthem, which won't be out until February 22, 2019. Madden NFL 19 is blitzing its way to PC, the first time for the American football franchise in years, and a new Star Wars title is coming that's set between Episodes 3 and 4. It's called Star Wars: Jedi Fallen Order. Battlefield 5 got a new trailer as well, and we also learned it will feature a cut-throat Battle Royale mode, much in the vein of Fortnite and PUBG. Finally, there's a new service called Origin Access Premier, giving users access to a trove of over a hundred past games from EA and other publishers plus access to EA's newest releases, including Madden 19, FIFA 19 and Battlefield 5. 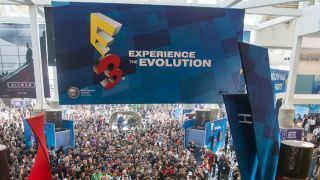 New games and hardware teases aren't all we're getting at this year's E3. There's been some other, just as exciting news announced as well. The good vibes from Nintendo's announcement that Fortnite is on Nintendo Switch soured a bit when it was discovered gamers with a PSN account couldn't do cross-play with those on Switch. The same is true the other way. On the plus side, from Thursday, the Switch version of the incredibly popular Battle Royale shooter will get built-in voice chat functionality. Xbox head Phil Spencer took the time to address how the Xbox app on Windows 10 doesn't consider the needs and wants of PC gamers first, and acknowledged work is being done to improve the situation. Turtle Beach has a new pair of gaming headsets designed specifically for Battle Royale games and game modes. You can get For Honor for the price of absolutely nothing – albeit the Starter Edition of the game – if you head on over to Uplay. The offer is live now, and will run through until June 18 (so basically for the remainder of E3 week). Sega has revealed that it’s bringing a trio of titles from the console format to PC, including two games from the Yakuza series. It’s the first time that this big-hitting franchise has debuted on the PC, and Yakuza 0 is leading the charge, with the game already up for pre-order on Steam with a launch date of August 1. External graphics cards, or eGPUs, will allow PC games ported to Mac to look and perform nearly as good as their original versions. And one of the first games we'll get to see work with this wizardry is 2015's Rise of the Tomb Raider, producer Feral Interactive announced during E3. Lenovo isn't sitting on the sidelines, instead revealing an overhaul to its Legion brand of gaming PC hardware, including brand new laptops and desktops. These new pieces of hardware drop the extreme gamer aesthetic in favor of something more widely palatable. Seagate revealed a brand new SSD that's designed exclusively for the Xbox One. The Game Drive for Xbox SSD will be available in 2TB, 1TB and 500GB capacities, with the 2TB option able to store more than 501 downloaded games, as well as downloadable add-ons, and achievements. It can be yours this summer in the US and in the autumn in the UK. And that's a wrap. Still hungry for more gaming? Then, turn to Page 2 for all of our earlier E3 predictions.